General TV Channel / Color Visión is a television network based in the Dominican Republic. It is one of the largest television channels in that country. 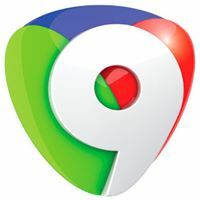 Color Visión is channel 9 in the Dominican Republic's television dial. Color Visión began regularly scheduled programming on November 30, 1969, in the city of Santiago de los Caballeros. The first transmissions were from the Matum hotel, in Santiago., In 1970, Color Visión moved its daily transmissions to Santo Domingo. There, Color Visión used the famous Hotel Jaragua's areas as television sets. One of the first show hosts was Manolo Quiroz. Later on, Dominican businessman Poppy Bermudez put a large amount of money into helping Color Visión open its own studio. The 1970s were times of growth for the company, as many locally produced programs were shown, and people such as Jack Veneno found work at the station, and a niche among Dominican television viewers. During the 1980s, Color Visión contracted such stars as Freddy Beras-Goico (cousin of Charytín Goico) and Miledys Cabral.